Google Analytics tells me that my blog writings about environmental education are a favorite subject of my readers. So, I’m sharing another wonderful story with you. Recently, my partner and I visited the ancestral pueblo sites at Mesa Verde National Park in Colorado. The purpose of our visit was to search for links to my partner’s Tarahumara Indian heritage. In addition to supporting my partner, an unexpected and very rewarding experience took place for us. While poking around the various ancestral sites, we were met by a very warm and friendly National Park Service (NPS) ranger. In his hand, he carried two long bird feathers. He initiated a conversation with us — at first talking about the park in general. But, as I was to soon discover, he skillfully led us into a discussion about the feathers in his hand. 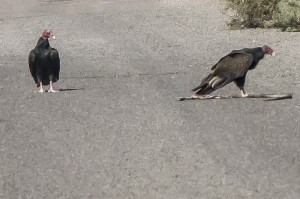 He did so using the Socratic approach where he simply asked us questions about what kind of feathers we thought he was carrying. As I was to discover, one feather was from a turkey wing and the other was from a turkey vulture wing. He continued to probe us on why we thought he might be carrying these feather’s around. In the course of our dialog, we were to find that the ancestral pueblo people kept turkeys for pets and for food. The turkey vulture feather was part of the conversation because the ranger wished to show us the difference between the feather structures of a bird who was a strong glider and a ground-based bird like the turkey. 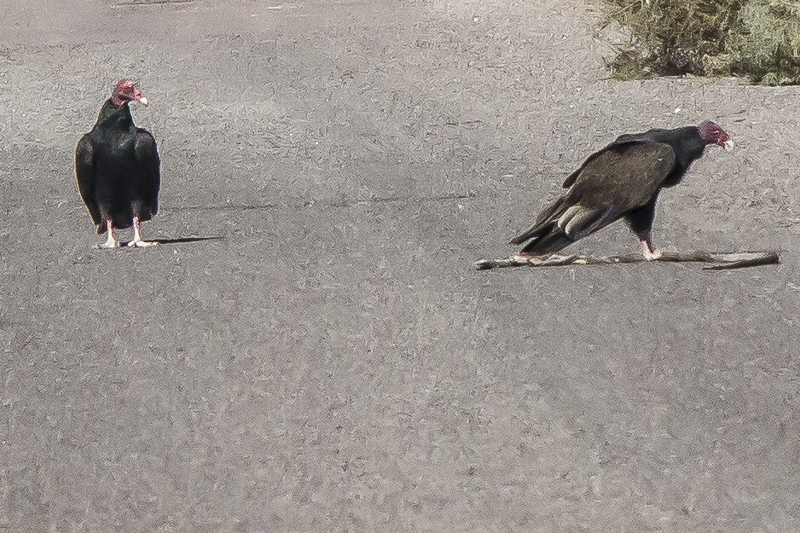 Through this wonderful Socratic encounter, we were led through a really great learning experience both about these two birds and how these birds fit into the life of the ancestral pueblo people. As an educator, I have a lot of experience in using the Socratic teaching method with young people. The Socratic method involves asking questions instead of lecturing. A skilled Socratic teacher can draw out the curiosity in youth and facilitate awe and wonder. To experience this highly skilled park ranger drawing us out and engaging us in a fun filled educational experience was awesome. 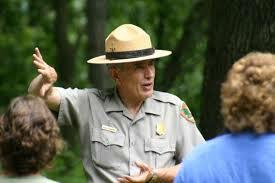 Mostly, NPS rangers schedule talks at the various national parks in the form of lectures. 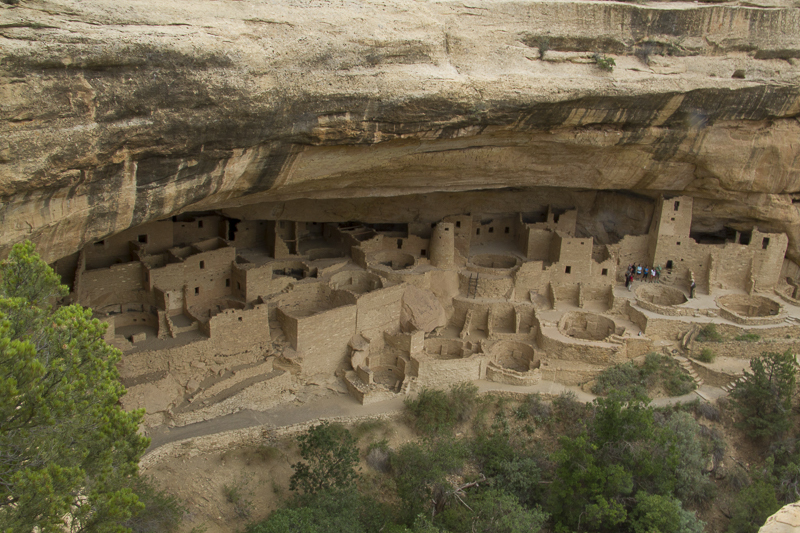 But, until my visit to Mesa Verde National Park, I have never seen them pro-actively approach someone to initiate an educational experience. And, this ranger was very good at it. I found this wonderful experience interesting and refreshing also because I had just camped at a couple of National Park Service (NPS) campgrounds elsewhere. I confess to a love-hate relationship with the NPS in part because of these campgrounds. They are not campgrounds. They are noisy parking lots where tents, campers, and RVs with generators are all tightly crammed together. And, the camp sites are obscenely expensive. At these campgrounds, the NPS might put on a scheduled ranger lecture in the evening. As I had endured two NPS parking lot experiences the week before, I was wondering why NPS rangers weren’t walking around their campgrounds and engaging our young people. In my view, it was a lost opportunity to bond kids with Nature despite the parking lot environment. There were kids all over these campgrounds available to engage Nature with a good teacher. 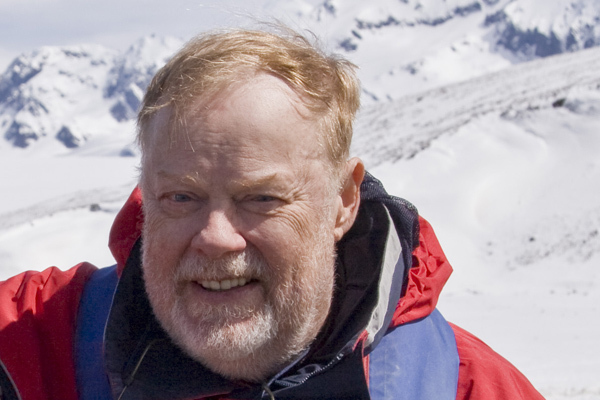 In my mind, I had thought that the Socratic approach would serve to be a bonding experience and a perfect way for a ranger to generate a one or two hour session with Nature in the early evening hours. All I heard was a lot of noise as kids made their own play well past the appointed quiet hour. Instead of providing educational experiences, the priority of NPS was to have their law enforcement rangers cruise around making sure people were in their assigned spots. So, when I got to Mesa Verde and experienced the ranger and his feathers, I was extremely pleased. I made sure that this ranger heard my pleasure concerning his teaching style. He got lots of kudos from me. 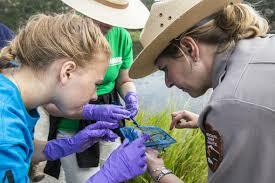 Environmental education is an important conservation tool. 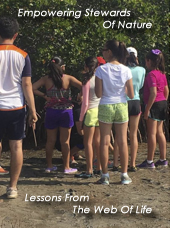 The critical importance of environmental education is the third element of my credo that is listed in my home page. We must be building an awareness and a connection with Nature inside the consciousness of our youth. Our race will not survive unless our youth can carry on despite the lack of awareness of Nature by we adults. The ranger that we met at Mesa Verde National Park was an inspired teacher. We need a lot more inspired teachers like him working in the National Park Service, actively engaging our youth rather than simply lecturing them at times and places that are convenient to the NPS bureaucracy. I laud the effort of this ranger with his feathers and I am planning to send this post to NPS management in hopes they will consider that the future of our environment, in part, will depend on how they help bond our youth to Nature. Wow! I hope I remember to practice the Socratic method at every opportunity. Thanks for sharing this story. I’ve found the Socratic method to be a powerful teaching tool at all levels. It keeps students on their toes and thinking. My students love to be challenged with questions. I learned the method during my days at Harvard where we had no text books and learned through dialog. You are welcome Diana. Good to hear from you again. I am delighted to find National Park Service rangers who know how to teach. This person is a summer ranger who teaches for the US Army in the winter. So, he has lots of experience and training. We need more like him.